I love adding animal inspired pieces to my looks. You can pair them with a basic outfit to add depth and texture, or add them to a more colorful look as a neutral. My style is most often very casual. My go-to look is usually a button down shirt and jeans. Especially during my pregnancy it’s getting harder to experiment with outfits. 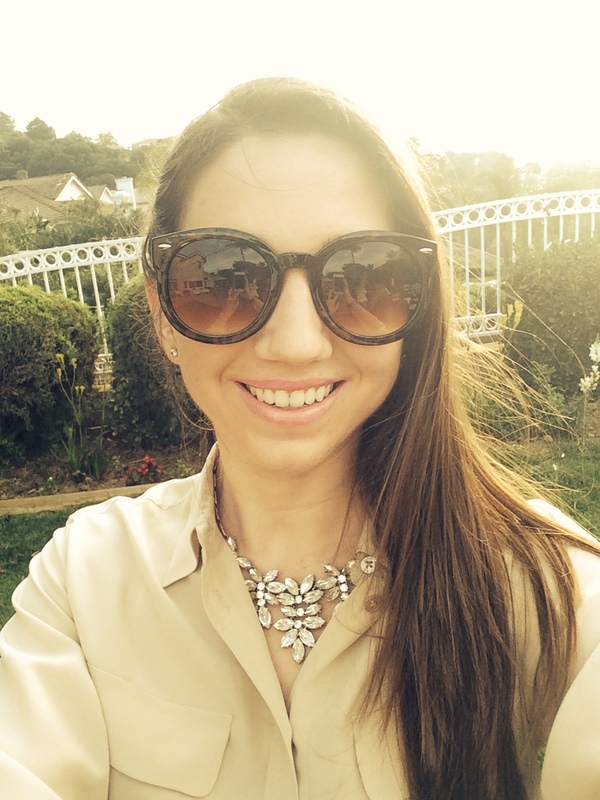 I kept my look sleek and simple, and added two animal inspired pieces to enhance my outfit. 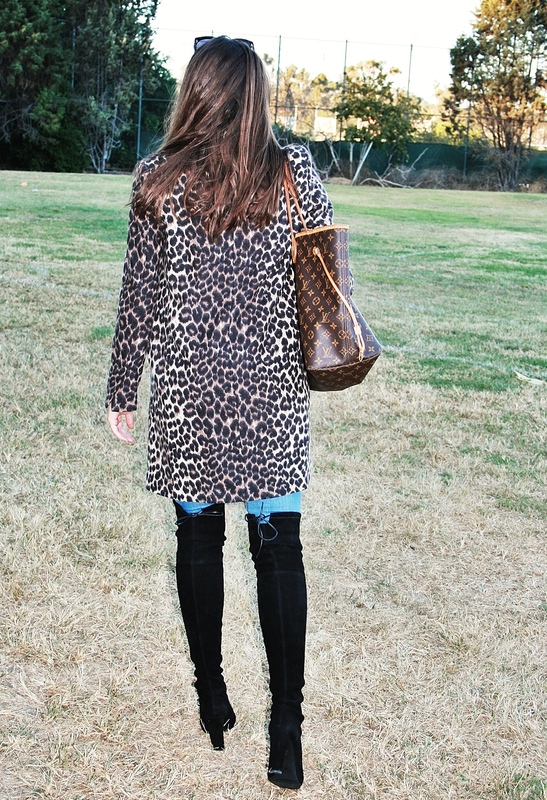 The first look included an old Zara leopard coat. I don’t think you can go wrong with leopard. I usually wear it in the form of a scarf or shoes but when I saw this jacket a couple of years ago I knew it was a must have. I don’t get to wear it very often, but when I do, I always get compliments. I think a good statement coat is an investment…especially when it’s not expensive! Getting a basic print like leopard, houndstooth, or a bold color will be something that can last for many years and will always come back into style. 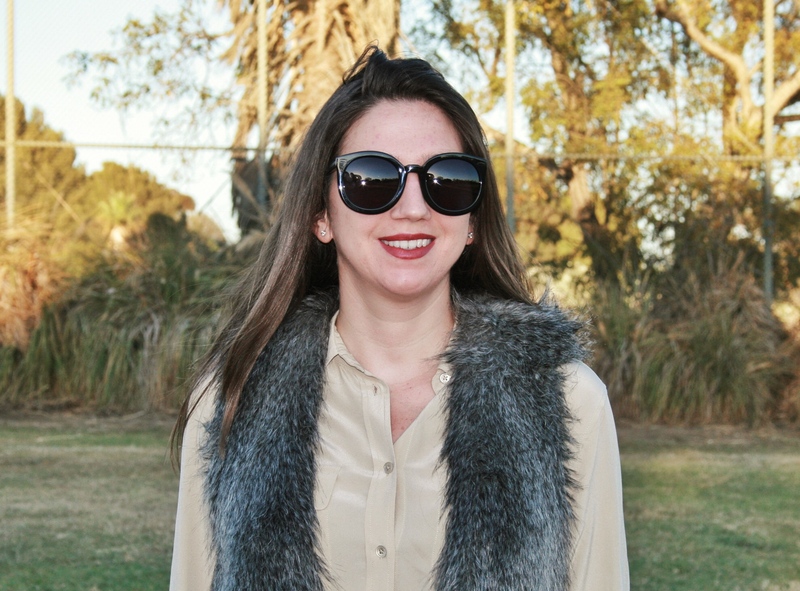 For the second animal inspired accessory I added a faux fur vest. 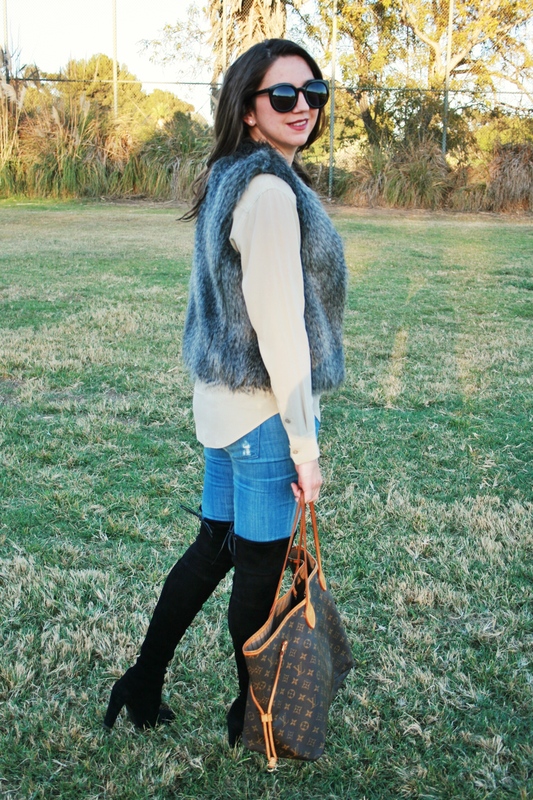 The vest adds volume, layers and texture. I bought this vest last year at Club Monaco during end of the season sales. 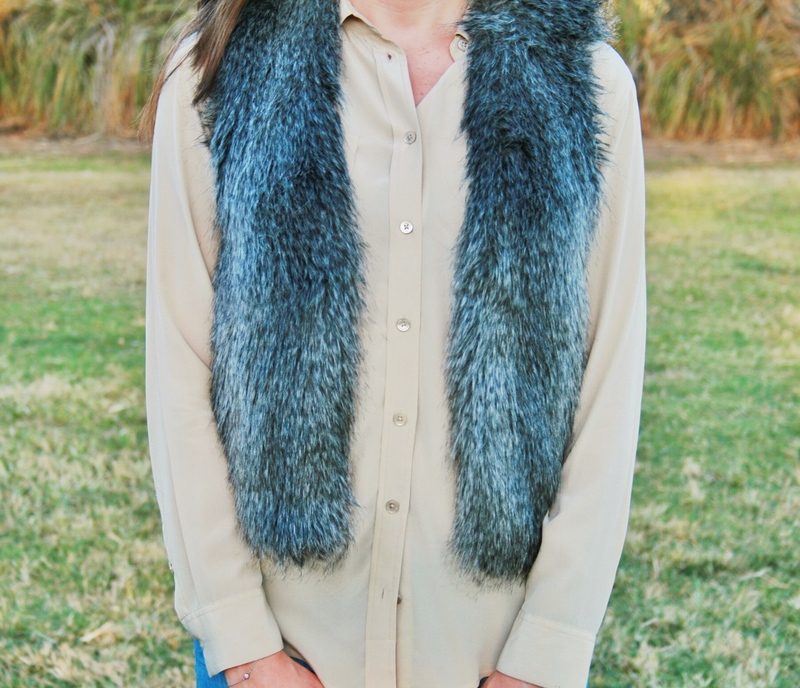 I am very happy I did since this year faux fur vests are everywhere. 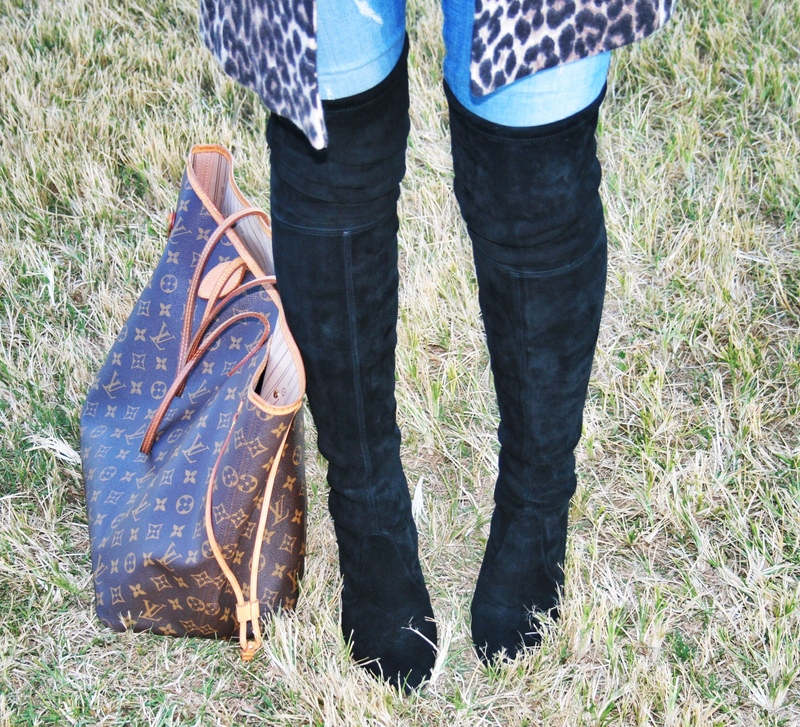 the leopard print looks so good with those OTK boots!